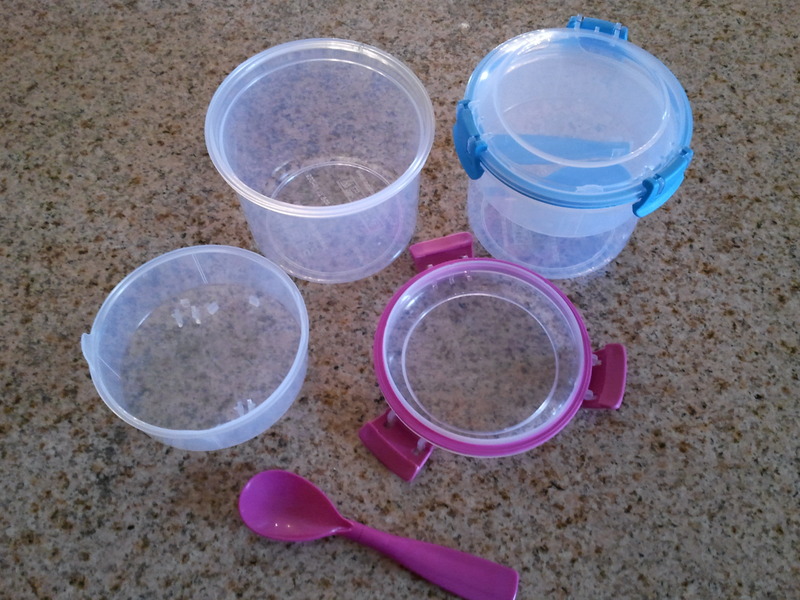 I occasionally used the silicone muffin cups shown to help divide things up more. The Bright Bin lasted about half the year, when the top latch broke. It’s still usable if you use a rubber band around the whole bin to keep it together. I started using the second one I purchased instead. 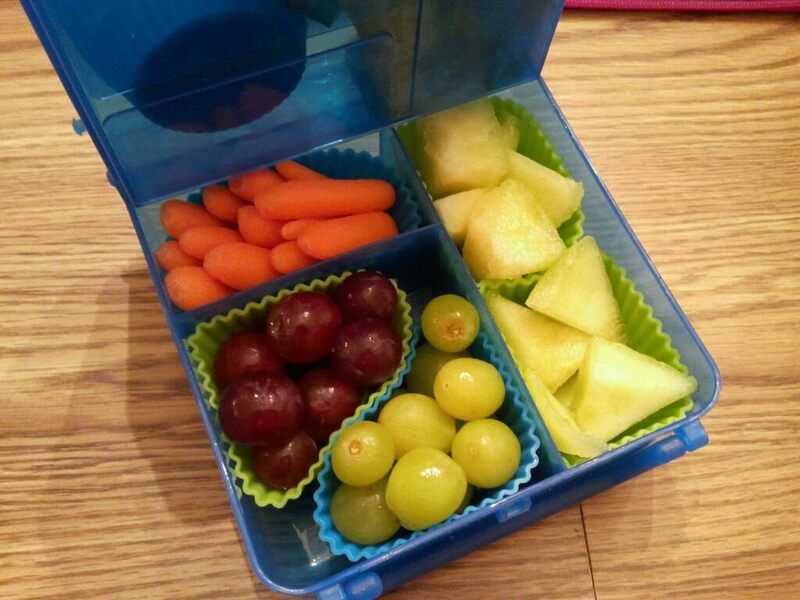 However, the top part is pretty shallow, so if my daughter wants something besides a sandwich for her lunch, it’s not ideal. 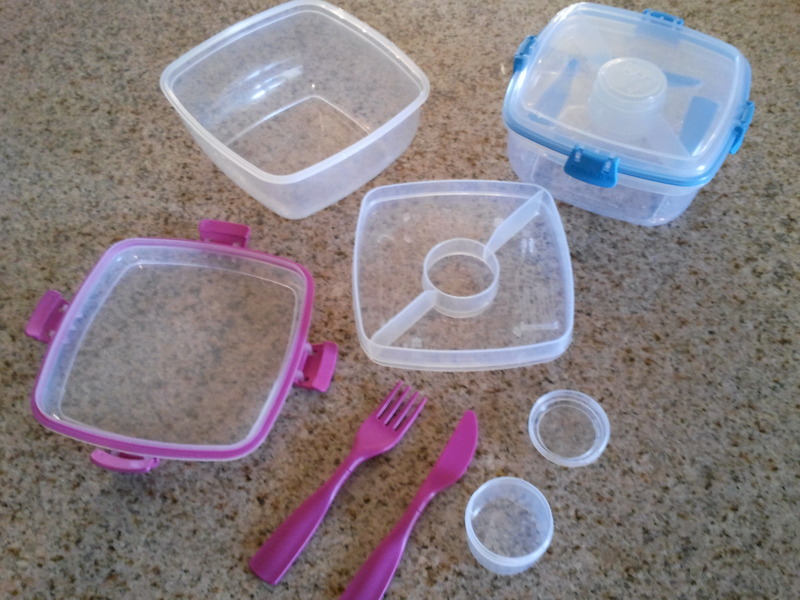 So, a friend of mine had gotten some other lunch containers, and I was admiring them at the park one day when we had a playdate and picnic. 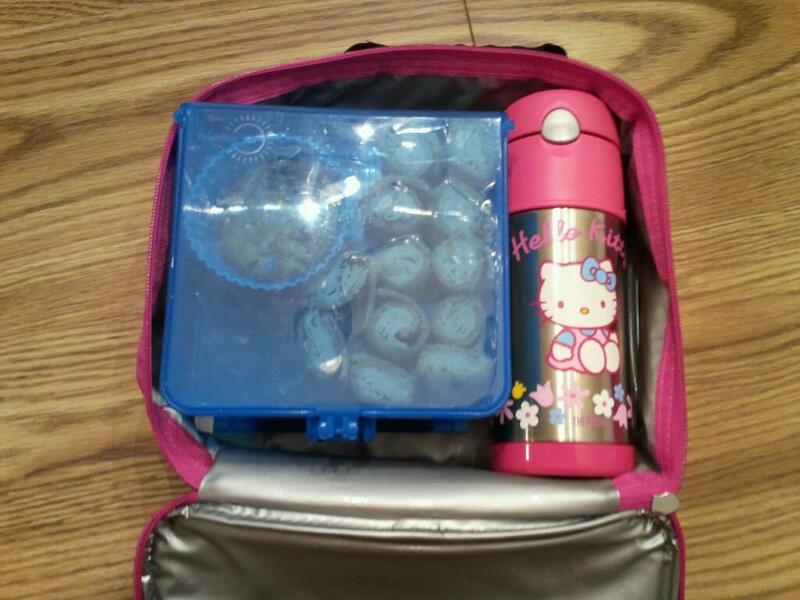 She had sistema Lunch Cube To Go for her girls to pack lunches in. I looked them up online a few times, but didn’t ever get around to ordering. 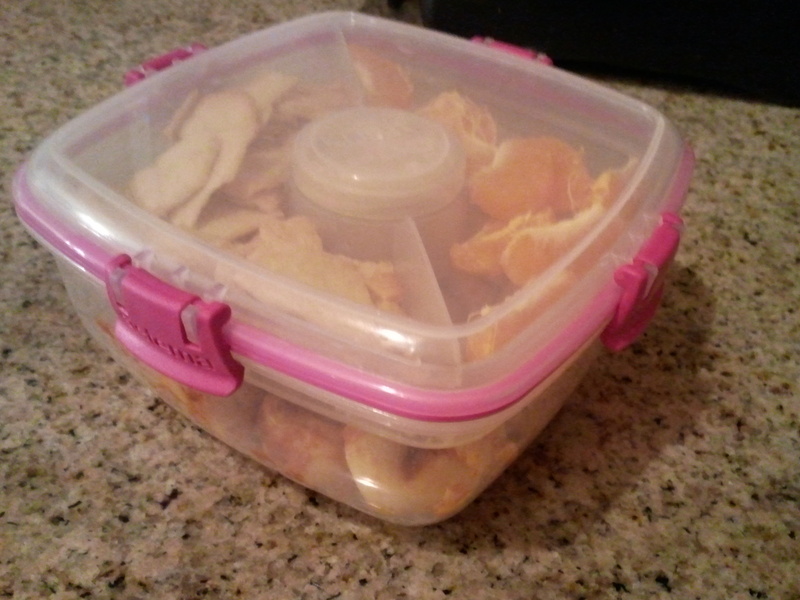 Then, I noticed that the Safeway in town had a few of the containers, and decided to try a Salad To Go container. 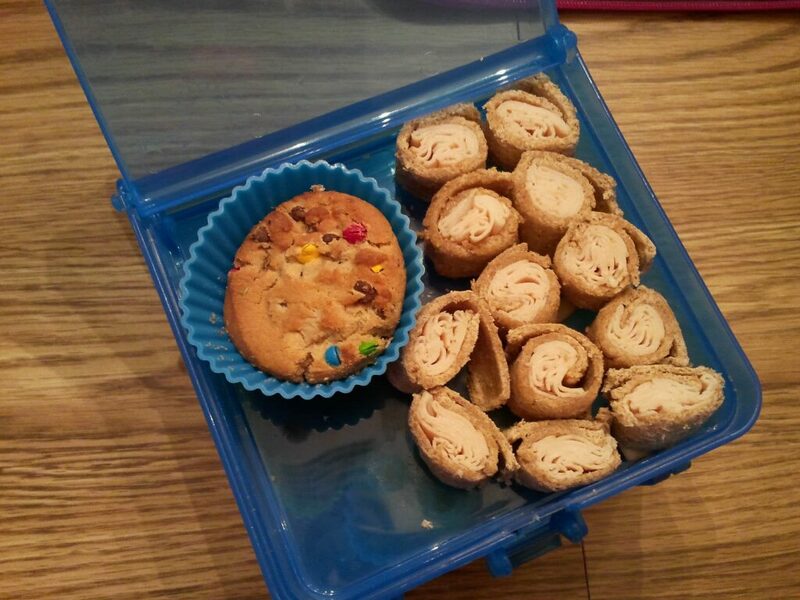 It was exactly what I was looking for so that my daughter could take leftovers for her lunch (she doesn’t mind cold tortellini or lasagna!). 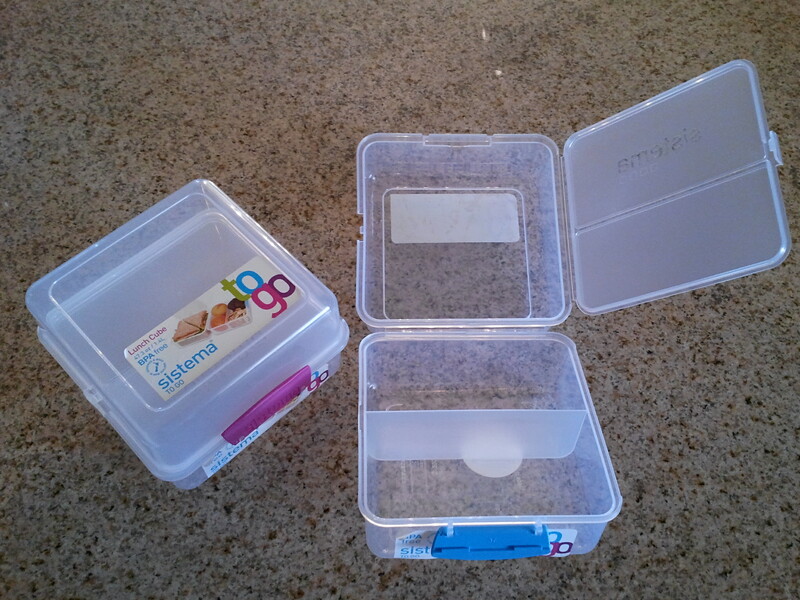 The Salad To Go containers have a tray that fits inside, making a lower section and upper, divided section, along with a fork and knife, plus a small round container. 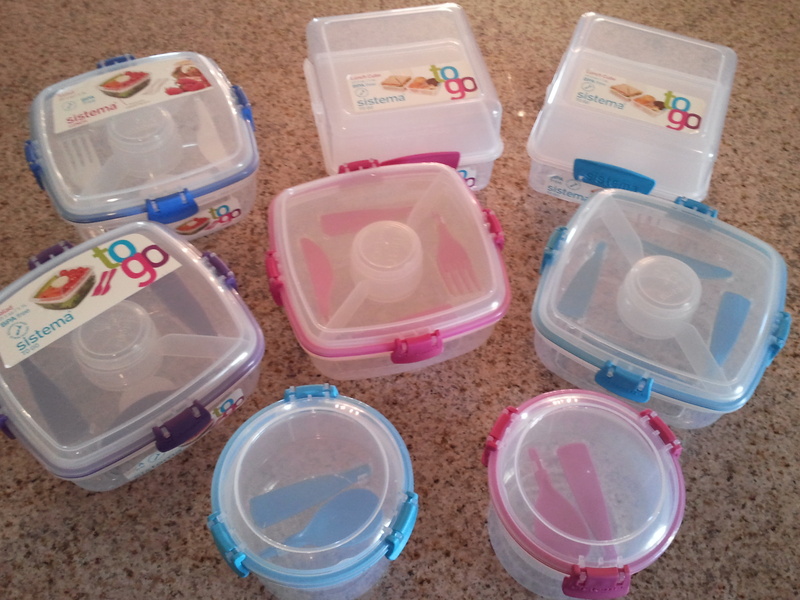 They are BPA free, microwave safe, freezer safe, and top rack dishwasher safe. So far, it has gone really well with this one. Both my 6-year-old and 4-year-old can undo and redo the latches, and it has held up well going back and forth to school. 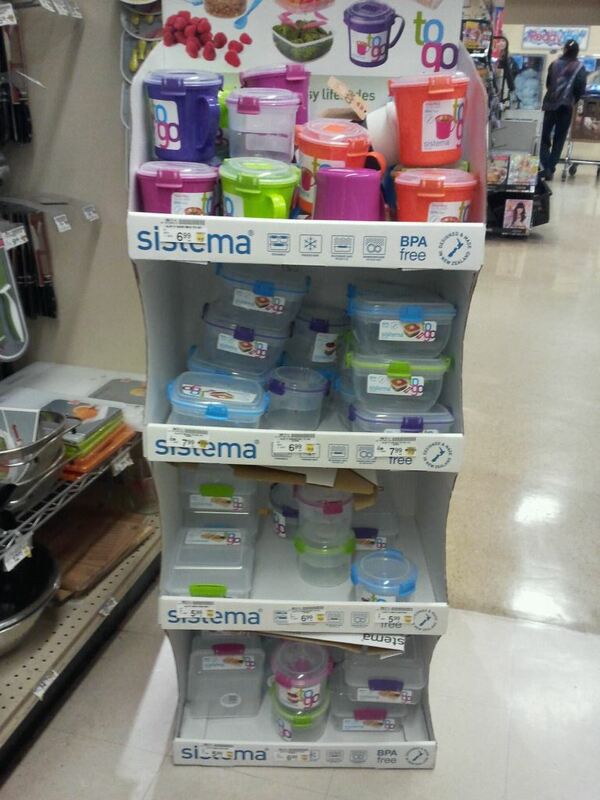 I was just at Safeway again, and they had a whole display of sistema To Go containers, Soup Mug To Go ($6.99), Salad To Go ($7.99), Breakfast To Go ($6.99), and Lunch Cube To Go ($5.99)! 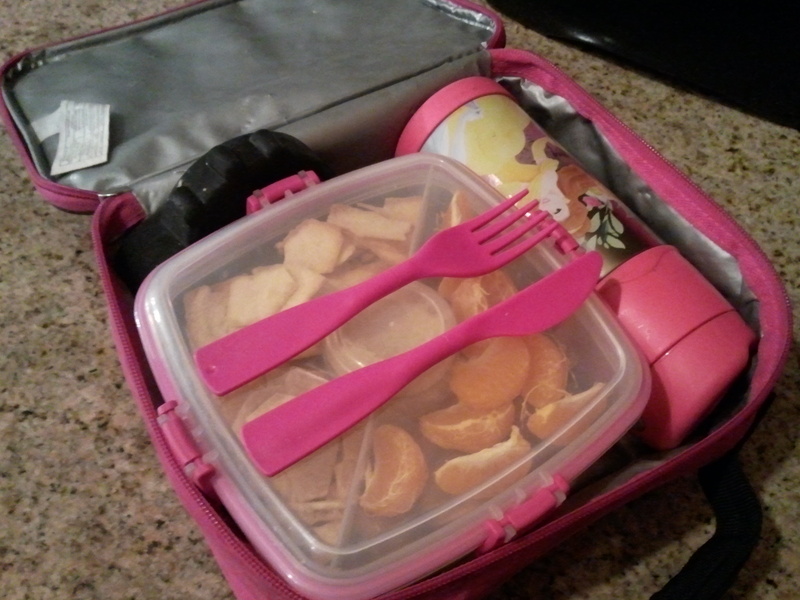 I now have a Salad To Go for each family member, Lunch Cube To Go and Breakfast To Go for each of my girls. My oldest loves pink, so her latches are all pink, my youngest loves blue, so her latches are blue. My favorite color is purple, so mine is the purple one, and I got a blue one for my husband. 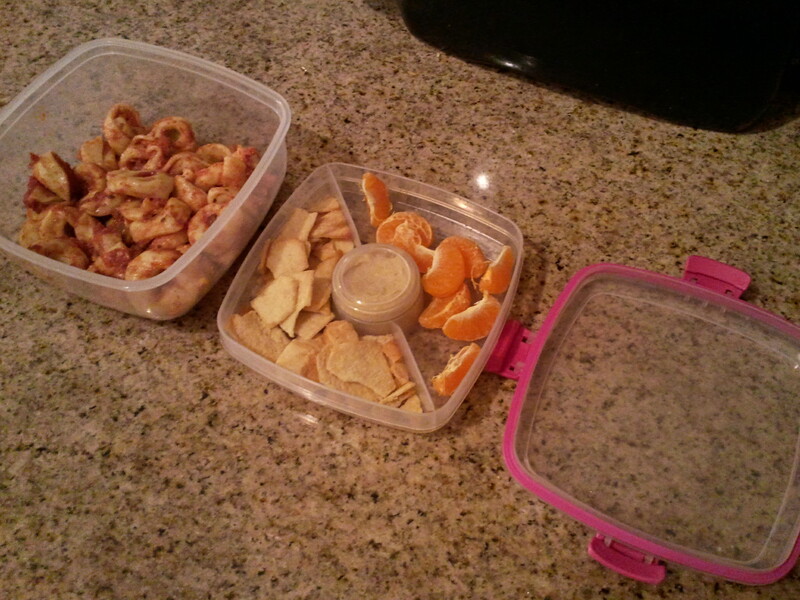 The kids love the new containers, and hopefully we’ll get a lot of good use out of them. Disclaimer: I did not receive any product from Bright Bins or sistema, I purchased all of these myself and wanted to provide information on how I use them and how they work for us.